Tuesday night, one of hockey’s greatest all-time two-way forwards will join some impressive company when he skates his in his 1,000th regular season NHL game, a home contest against the New York Islanders at TD Garden. Boston blueliner Torey Krug is looking forward to sharing in the moment. He’s grateful to call the 33-year-old veteran a teammate. Many don’t have the same luxury as Krug, who joined the Bruins in a full-time role in 2013-14. 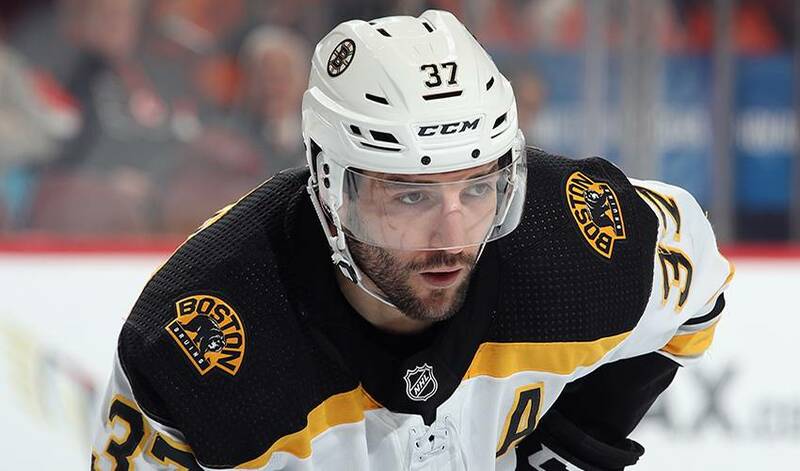 Drafted 45th overall in 2003, Bergeron, who played 74 career games with Acadie-Bathurst of the Quebec Major Junior Hockey League, has become one of Beantown’s best and most beloved athletes. He’s a Stanley Cup champion, and won gold with Team Canada at the 2004 World Championships, 2005 World Juniors (tournament MVP), 2010 and 2014 Winter Olympics. Bergeron also owns a record-tying four Selke Awards as the NHL’s top defensive forward. On June 15, 2011, he became the 26th player to join the Triple Gold Club (Olympic Gold, World Championship Gold and a Stanley Cup). But it’s not just what the player – one who’ll no doubt be inducted into the Hockey Hall of Fame one day – does on the ice that has his teammates continually singing his praises. It also makes the player with nine seasons of 20 goals or more the ideal role model for aspiring NHLers to emulate. And tonight, in front of an appreciative home crowd, Bergeron will be in his rightful spot, the centre of attention for a well-earned milestone celebration.